福岡市中央区薬院にある大人の隠れ家。落ち着いた雰囲気の中で上質な時間をお過ごしください。Whisky & cocktail lovers are welcome! Visited Kagoshima Prefecture to meet Mr. Komasa, President of Komasa Brewery and Mr. Kusano, Distilling Manager of Hombo Shuzo for discussing our seminar on the 16th of June at Whisky Talk Fukuoka. 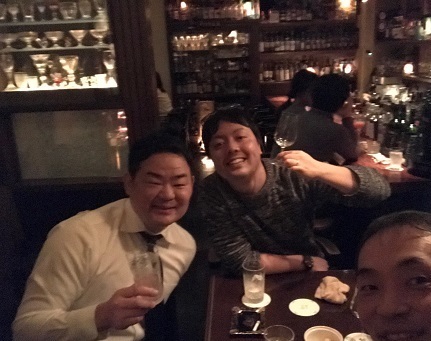 We talked many things about whisky and had very much fun! Let's make a wonderful seminar in June! So here comes the second round of whisky seminar! This time we will host two distilleries. One is from Shizuoka Distillery in Shizuoka Pref. and the other is from Box Whisky in Sweden. At each seminar 4 sample whiskies are served for tasting. Mr. Nakamura, president of Gaiaflow will give us a lecture about their unique pot stills. They use a brand new wash still by Forsyths which uses a direct heating by fire wood! 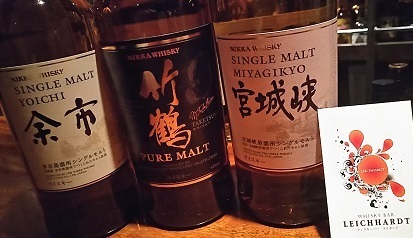 For a spirit still, they use an ex-Karuizawa still for more whisky diversity. 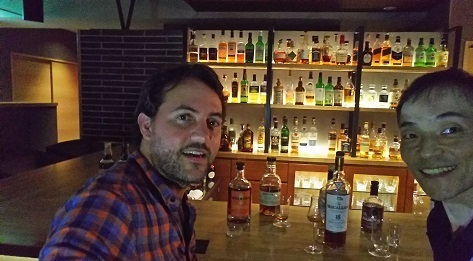 For Box Whisky, we welcome the distillery manager Lars Karlsson to Fukoka for the first time. He will have a lecture about the details of the production capacities and the future direction of Box Whisky. After the seminars, special tasting of 12 botlles is ready for you. The seats are almost full sohurry make a booking for your good time! Look forward to meeting and drinking with you soon! 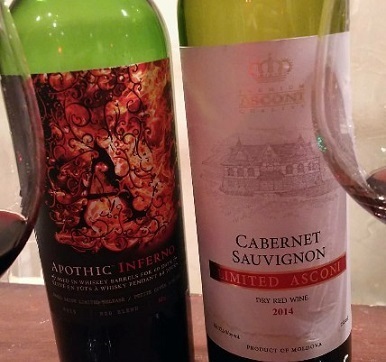 A unique experience of drinking California wine, Apothic Inferno, which was matured in ex-Bourbon Barrels for 60 days. The aroma is like blackcurrant, body is nutty and the lingering Bourbon taste finish. Copared with Moldova Cabenet Sorvignon, which has a pretty light and fresh flavour, the difference is like night and day. Not bad to try wine sometimes. A university professor with a friend of his from Seoul, S.Korea visited here at Bar Leichhardt. He's been writing ahout Japanese food and liqueurs and now focusing on Japanese whisky. The demand of whisky in S.Korea has been increasing recent years. 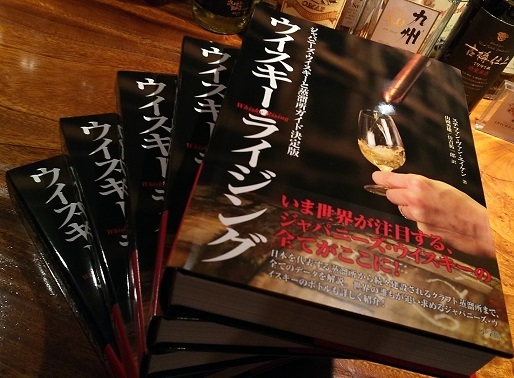 I asked him to add some Japanese craft distilleries such as Ichiro's to his new book. Hope to see the first S.Korean whisky distillery to set up in the future! 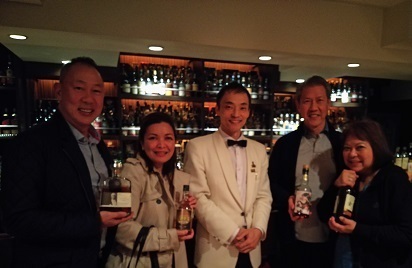 Whisky Ambassador for Asahi Brewery Co., Mr Minowa (Right), and his successor Mr. Kaneko visited Bar Leichhardt. We had a great talk as well as whisky as always! Thank you for your time and sharing the knowledge you have. We had two new guests from Finland. They've read the article about the Bar Leichhardt on the net and visited us. 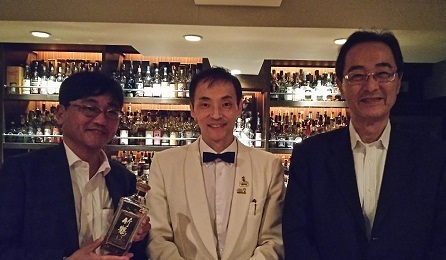 Their favorite whisky is, of course, Japanese, and they tried some limited editions. Thank you for coming and have a nice trip in Japan. Hopefully see you again soon! A very good friend of mine, Simon from Australia, returned to Melbourne finishing his sabbatical for a couple of month. 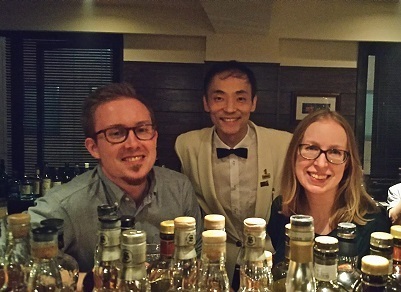 He's a real aficionnado of Japanese whiskies and puts his photos of whiskies he drunk with some tasting notes on Instagram. I enjoyed both his personality and tasting comments during his stay in Japan. Look forward to meeting you again in Australia! Closed on the 3rd of Oct.
We are closed on the 3rd of October for joining the Domestic Craft Distilleries Tastings in Tokyo. Please come again. Thank you. Now we're revisng all the translation we did. The more I read, the more I find mistakes and errors. Checking every sentene and every dedail of the contents of the book is tough. But it's almost getting there! 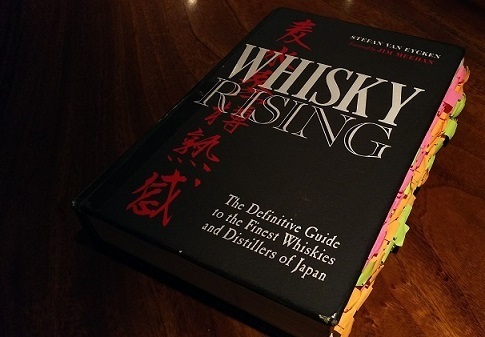 Lood forward to meeting the Japanese version of Whisky Rising! A nice photo taken by Aslan Cheng. Thank you! We're ｆinished the translation of 'Whisky Rising' for now by Stefan V. Eycken. It's been a year of a hard work. With a great help of the co-translator Hideo Yamaoka, we're now checking all the details. The Japanese version of Whisky Rising is out on the 22nd of November. We're accepting reservations at Bar Leichhardt. 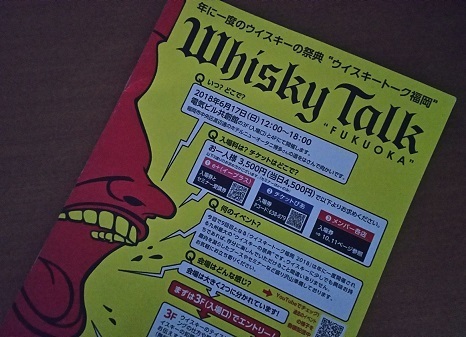 Whisky Talk 2018, the biggest whisky festival in Kyushu area, is coming this Sunday on the 17th! 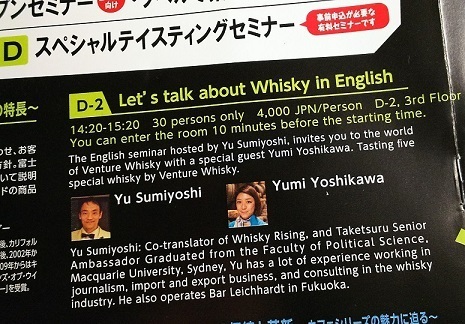 I'm having a Master Class with the Venture whisky Ambassador, Yumi Yoshikawa in English. 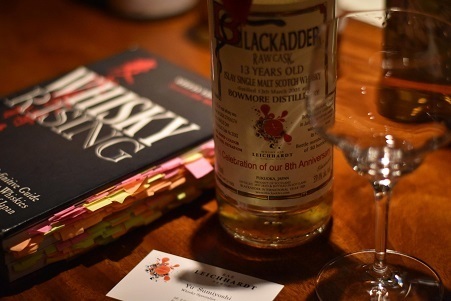 And Bar Leichhardt is open from 4:30pm to 2am during the Whisky Talk week between the 15th and the 18th of June. Look forward to meeting with you. Getting more and more tourists from overseas at Bar Leichhardt recent days. 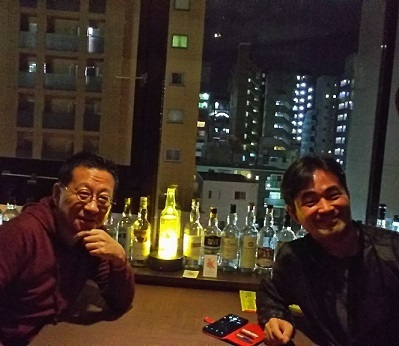 Mr. Matsuyama who is running a bar in Kita-shinchi, Osaka, visited here at Bar Leichhardt. Nearly three years past since we'd met in Osaka. 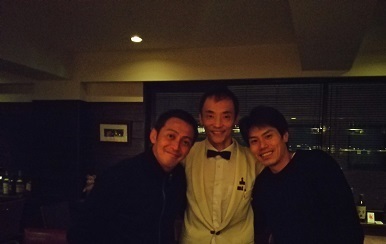 It was nice meeting with him and Mr. Haruzono. Congratulations on your 13th anniversary! 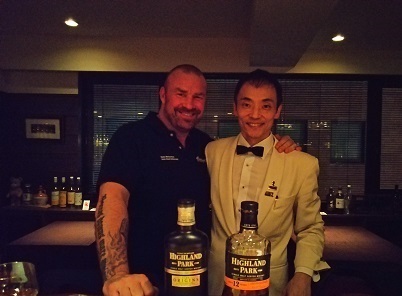 Joined the Highland Park seminar with Senior Brand Ambassador, Martin Markvardsen in Fukuoka. 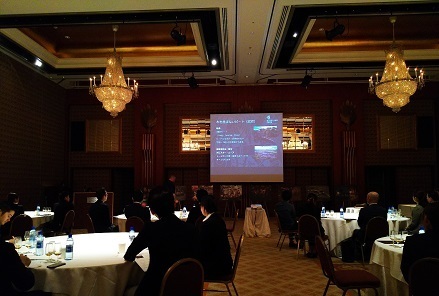 About 75 bartenders in Fukuoka gthered at the venue of Grand Hyatt, Fukuoka. Tasted three items; Highland Park 12yr, 18yr, and will be released Valkyrie. It was a well thought seminar and his talk and explanation with humor gave me awareness of how to speak effectively to the audience, so it was really an insightful seminar indeed. HP senior brand ambassador, Mr. Martin Markvardsen visited here at Bar Leichhardt after the seminar. See you in Scotland next year! 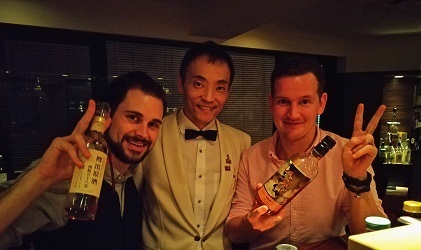 Philip and Nick from Dornoch Distillery were in Fukuoka! 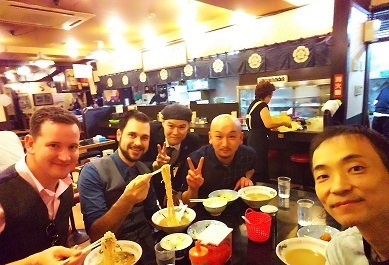 So we had a tasting event and went out together for beer and Ramen! Whisky, whisky, and whisky with great fellas! 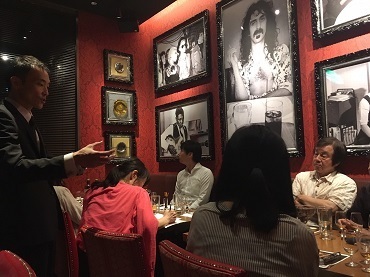 Thank you for joining Whisky Seminar Vol.2 at Hard Rock Cafe Fukuoka for Hakata Univ..
20 seats were sold quickly and we all had a great time again! 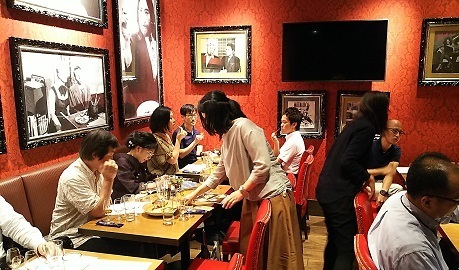 Sponsored by Asahi Brewery Ltd., and Ezaki Glico Co., Ltd., Yoichi, Miyagikyo and Taketsuru, and special Pretzel covered with dark chocolate were served as well as chocolate fudge by Hard Rock Cafe. Many questions were asked and everyone got involved with the world of whisky! 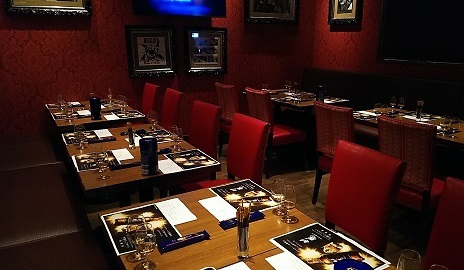 Will have a whisky seminar vol. 2 at Hakata University on the 28th of August. 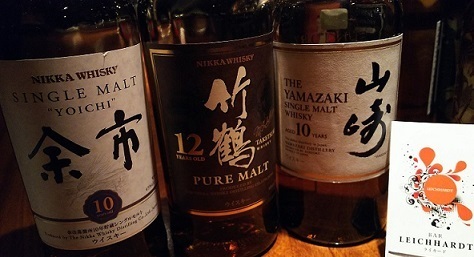 This time I will focus on the three particular Japanese whisky 'Yoichi, Miyagikyo, and Taketsuru. 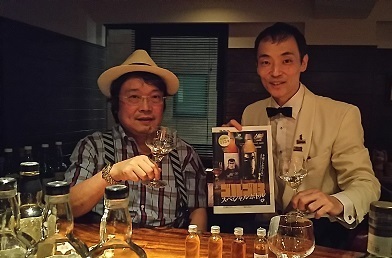 'GOLGO 13', a legendary and very famous cartoon character which was created by Takao Saito will celebrate the 50th anniversary in Japan, is now on the whisky bottles with cooperation with Hideo Yamaoka, a famous whisky critic! 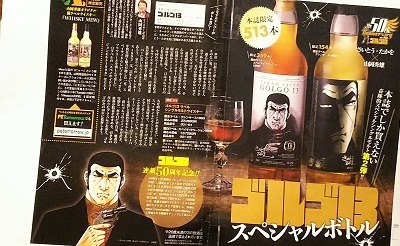 A legendary cartoon charactor 'Golgo 13' is now on the bottle! Glen Keith 1993, 23yrs and Speyside Region 1998 limited editions, and Hideo's two new 'Whisky Mew' bottles Tomatin 1997 and Westport 2006, will be on sale the 8th of September. ◆Closed：Mondays and irregular day off for whisky & coctail events. Please call us to check. Offering a wide range of whiskies and cocktails in Fukuoka City, Japan. About a 3-minute-walk from Nishitetsu Yakuin Station. Copyright © Bar Leichhardt　バー　ライカード All Rights Reserved.